The Ford Mustang is a thrilling, yet refined, muscle car, with an attractive interior, athletic handling and a powerful engine. The auditory rumble of the engine makes it truly and American icon that delivers power and performance. 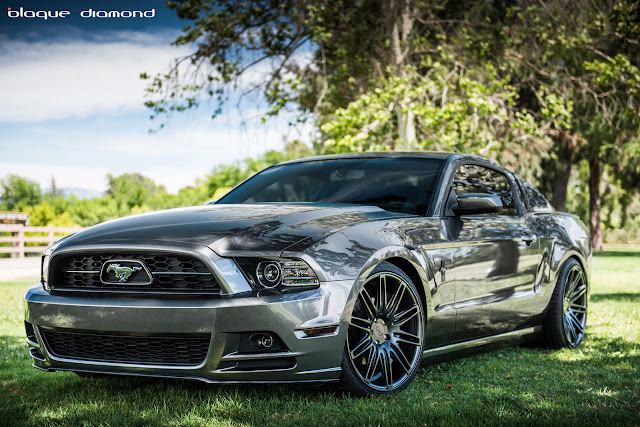 When the Mustang arrived to us, we knew exactly what to fit to it to make this a standout on the road. 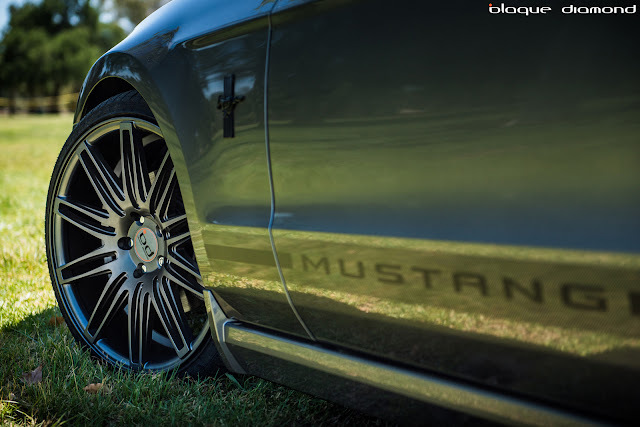 We fitted a set of staggered 20 inch BD-2’s in matte graphite to this pony and immediately took it for a gallop around town. Over the bumps, the new rims soaked up every irregularity it came across and the steering was utterly responsive. Once we went full throttle up the straight, we could feel the power come on strongly while still having complete control and sticking to the pavement! 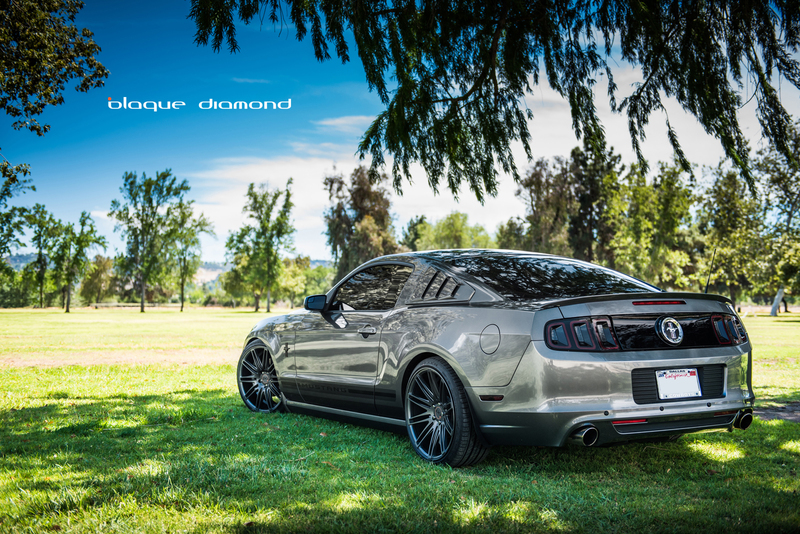 The BD-2’s are one of Blaque Diamond’s most desired wheels. The array of finishes are attractive to the widest audience. The BD-2’s come finished in – silver polish, graphite machined, black machined, all graphite and matte black with gloss lip. The staggered sizes available are 20 x 9, 20 x 10.5, 22 x 9 and 22 x 10.5. Check out the Blaque Diamond Wheels photo gallery here.